Election 2010. 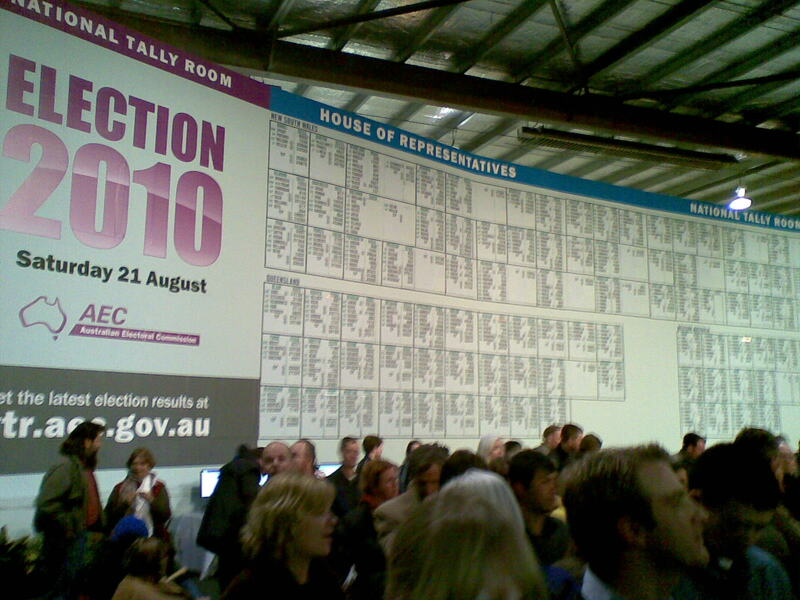 Time to get our nerd on and visit the national tally room at Exhibition Park, to be at the heart of the action. After dropping in on a friend's birthday party, we arrived about 9:30pm, by which time a normal election would have well and truly been called, but not this one. We stood in a cold queue outside for about 30min before we were let in. Luckily for us, that was just a few minutes before Bob Brown turned up and got a big cheer from the Labor-Green heartland that is Canberra. He proceeded to give an interview right in front of where we were standing, and we were in the background of a lot of TV footage. 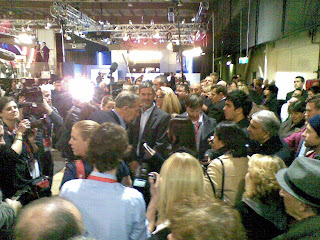 Unfortunately we couldn't hear a word of what he said, and that pretty much summed up the experience of the tally room - you are at the heart of the action, but really have no idea what is going on. 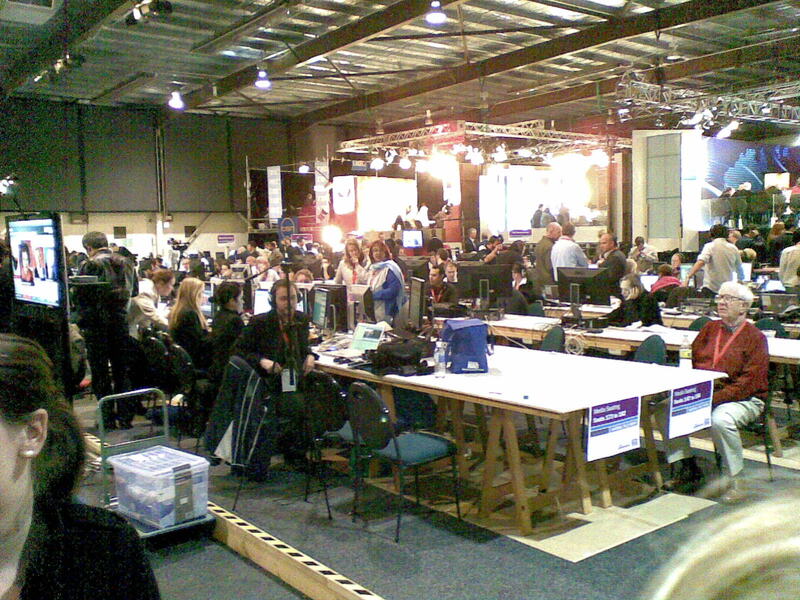 The TV sets are constructed along one side of the room, but they are too far back to hear what is being said. The tally board itself is kind of cute, with tally monkeys running around behind it updating the numbers manually like the scoreboard at Adelaide Oval. 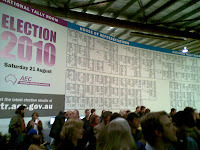 They could just have a projector displaying the electronic tally board the AEC has on its website, but they have opted for olde worlde charm. We finished off the night at another friends' election party, which was actually fairly depressing. It didn't matter who you voted for, with a hung parliament everyone loses. 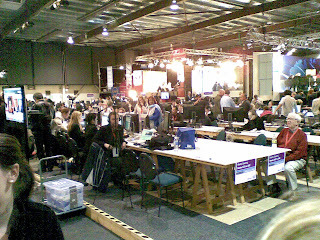 We spent Saturday watching the live stream through abc.net.au - didn't have quite the same atmosphere. Thought I caught a glimpse of you in the distance, though.